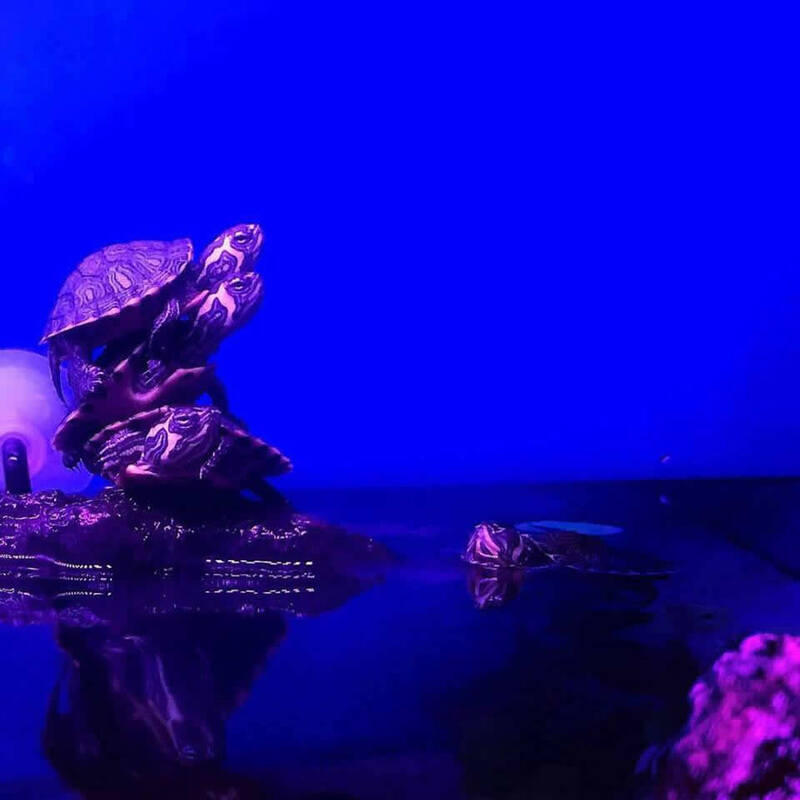 At Aquarium Liverpool we stock the popular Ciano Tartarium Turtle Tanks along with basking lamps, sand, heaters, basking areas such as ramps and floating logs and various filtration options for your Turtle or Turtles. Dried, live and frozen foods are available. There are many species of Turtle, which have different requirements and growth variations. 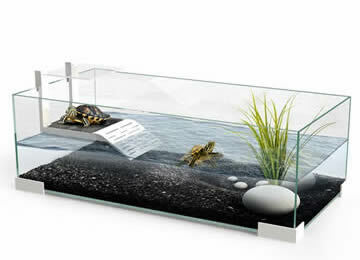 A range of filtration options are avaible suitable for Turtles starting from £9.99, basking and UV bulbs from £6.99 and clamp lamps from £24.99. The Tartarium 40 and 60 are available for delivery to UK Mainland only, please call 0151 4485717 to enquire. 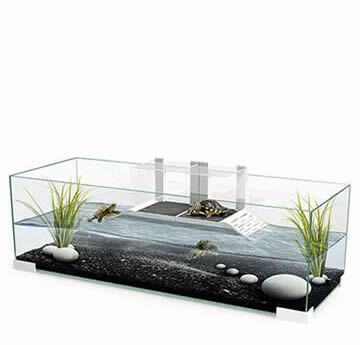 The Tartarium 40, terrarium glass, is equipped with supports and dry zone in high quality white plastic with high gloss finish and a clear plastic lid for the rest of your turtle and for optimal exposure to heat, essential to their well-being and growth. Plastic supports; Plastic RAMP; Lid with clear plastic to prevent the turtle jump. 1. Please note this Tartarium does not include a full lid, lid over ramp only. 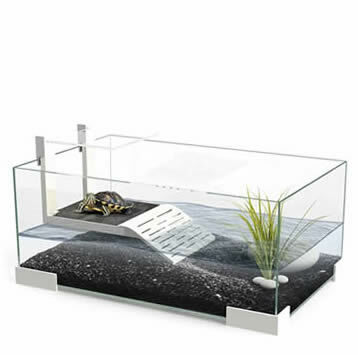 The Tartarium 60, terrarium glass, is equipped with supports and dry zone in high quality white plastic with high gloss finish and a clear plastic lid for the rest of your turtle and for optimal exposure to heat, essential to their well-being and growth. Plastic supports; Plastic RAMP; Lid with clear plastic to prevent the turtle jump. The Tartarium 80, terrarium glass, is equipped with supports and dry zone in high quality white plastic with high gloss finish and a clear plastic lid for the rest of your turtle and for optimal exposure to heat, essential to their well-being and growth. Plastic supports; 2 x Plastic RAMP; Lid with clear plastic to prevent the turtle jump.